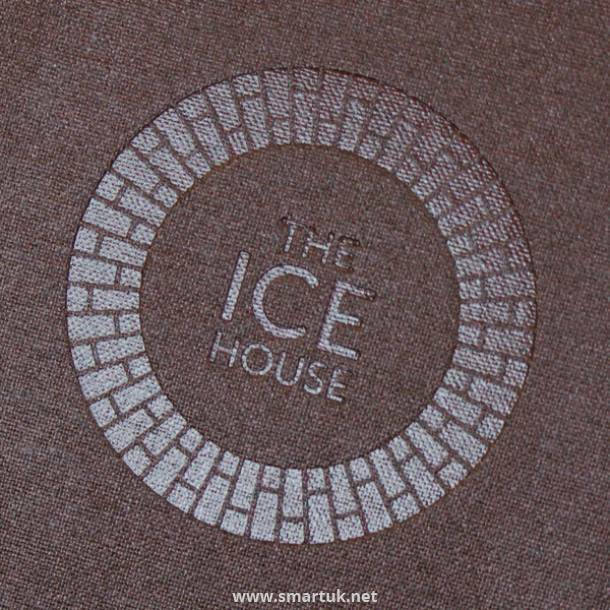 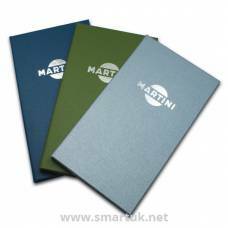 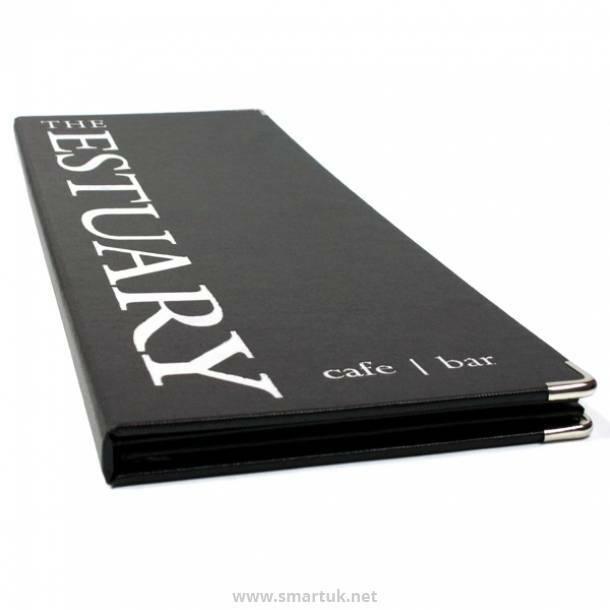 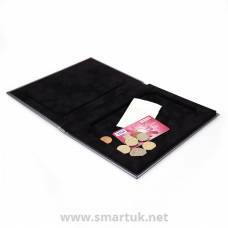 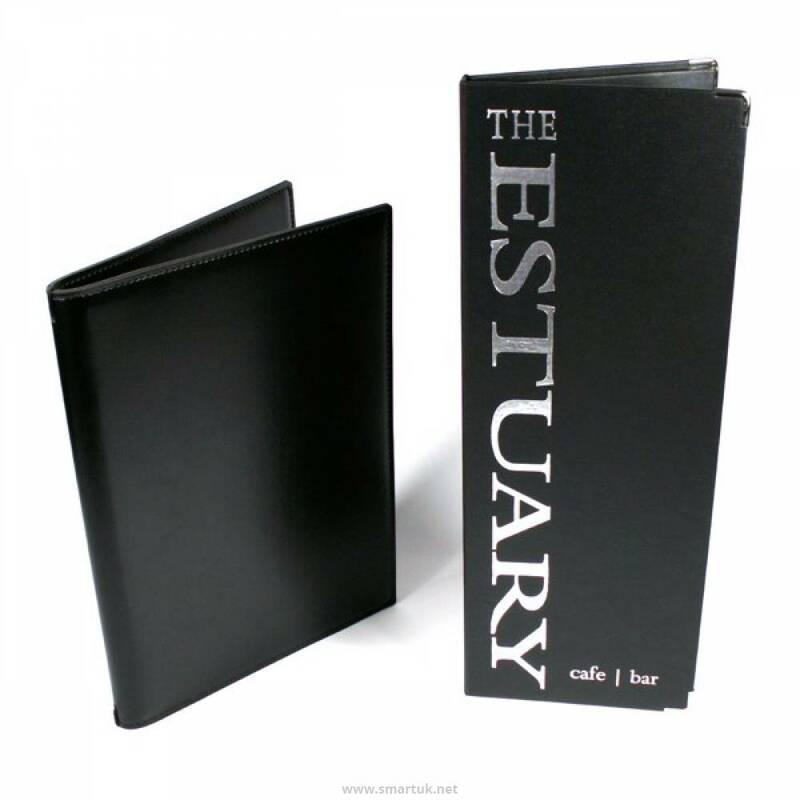 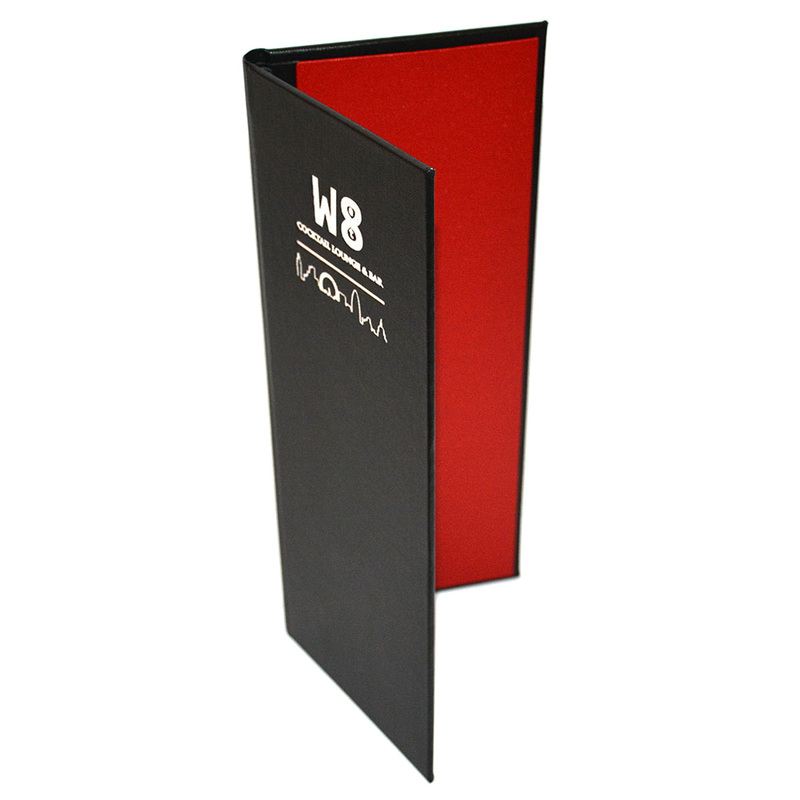 Paris Buckram Menu Covers - an inventive menu cover, sure to create a stir. If you're looking for a new design, something different to everybody else, then why not try our quality Paris menu folder? 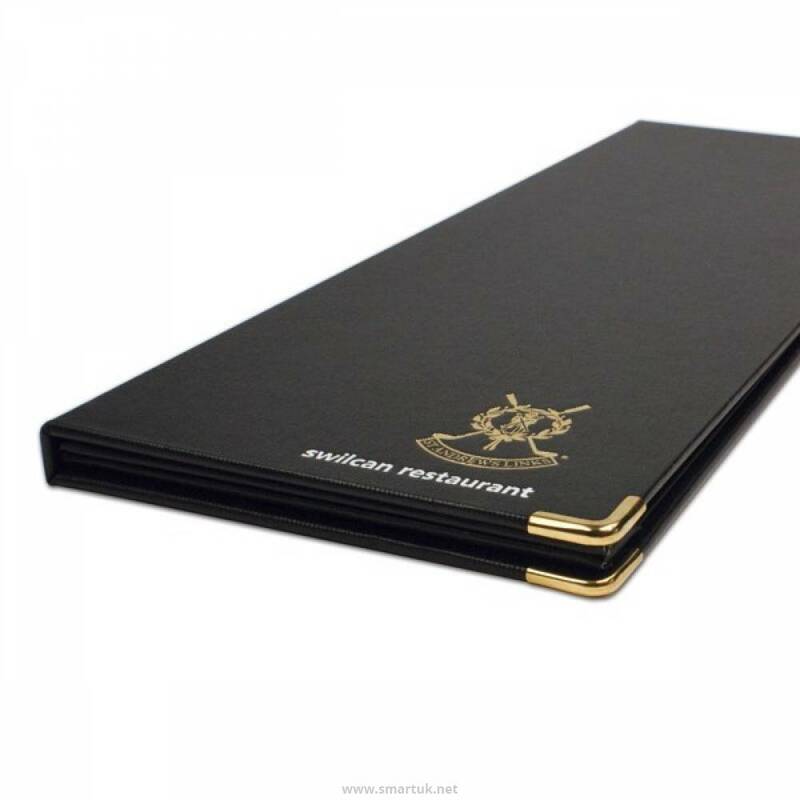 The Paris menu cover design offers two or four sides of menu to view. The menu cards are held in place behind removable opaque acetate sheets, which are fixed by two parallel bars, located at the top and bottom of each page creating an ingenious design. 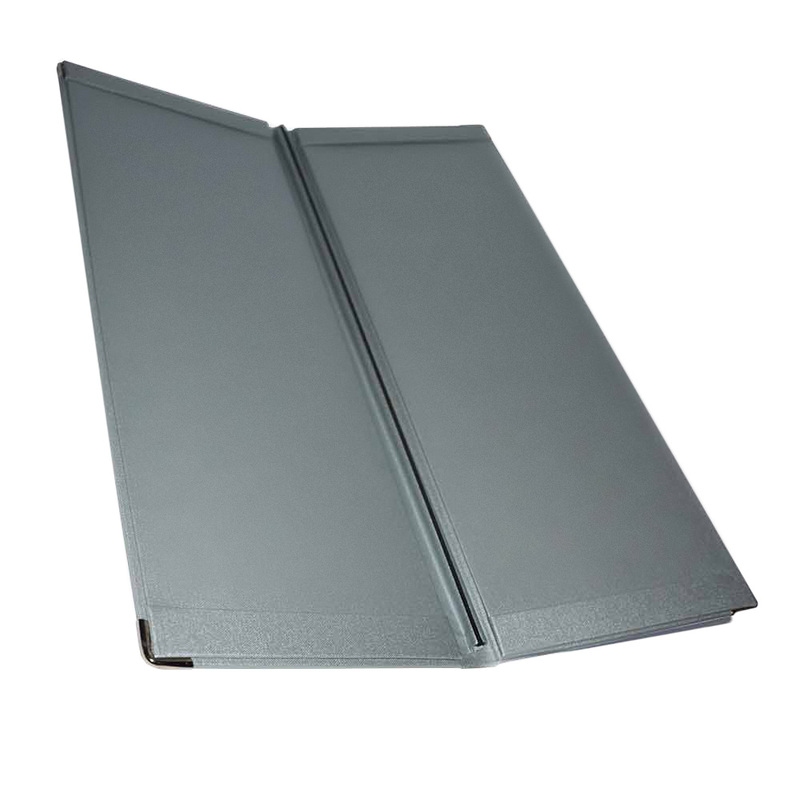 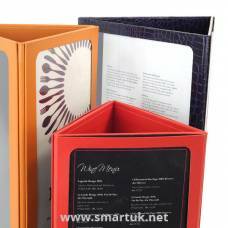 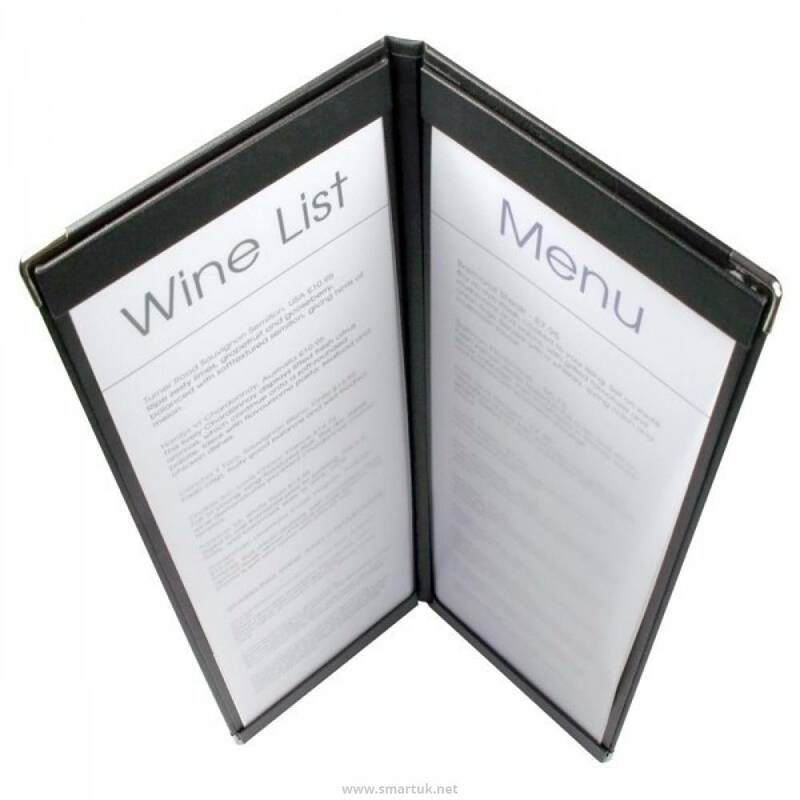 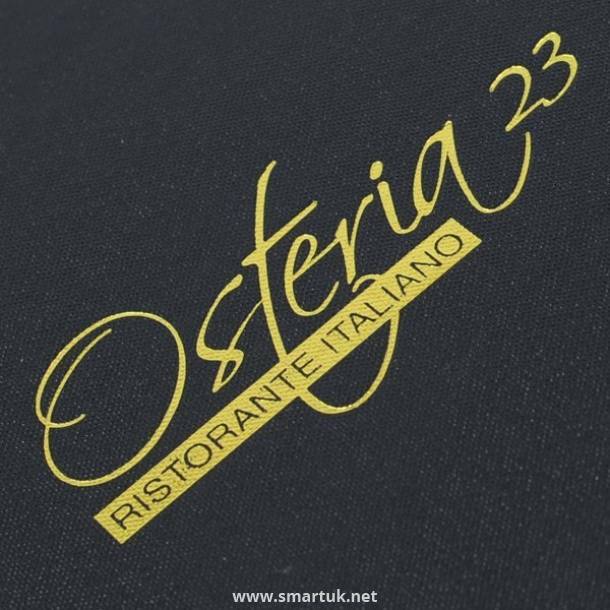 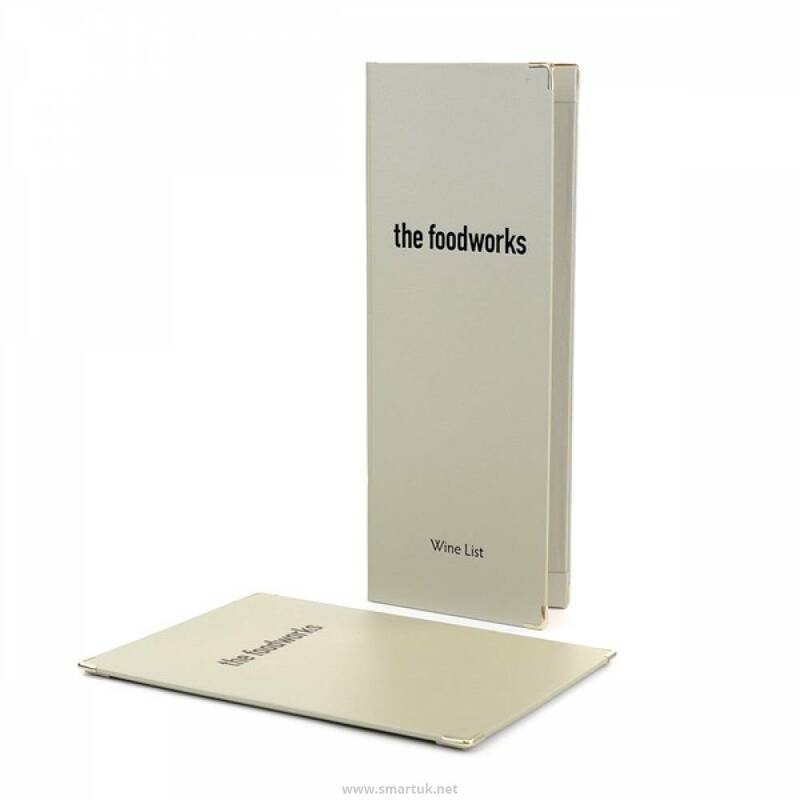 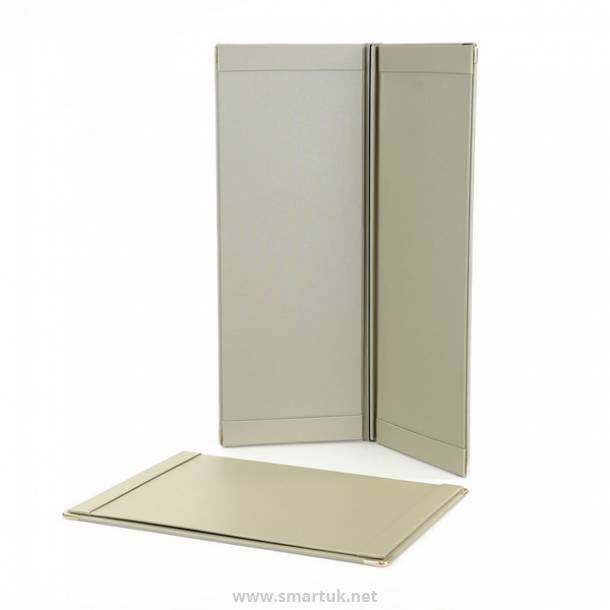 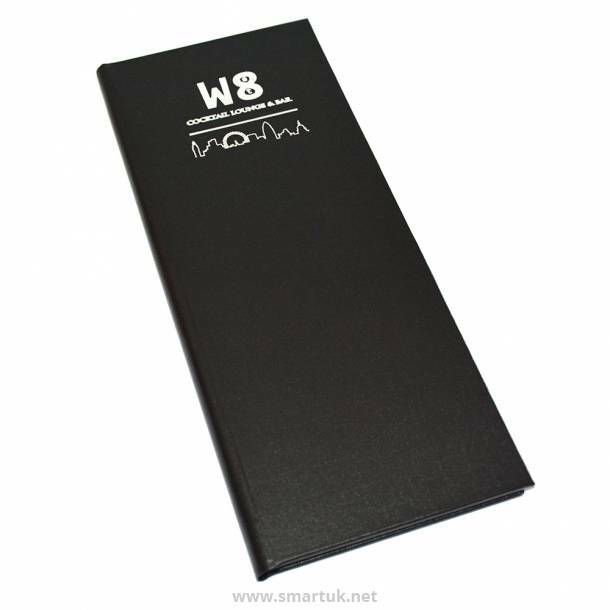 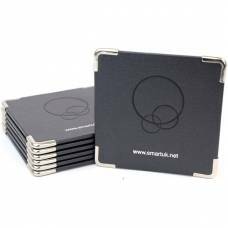 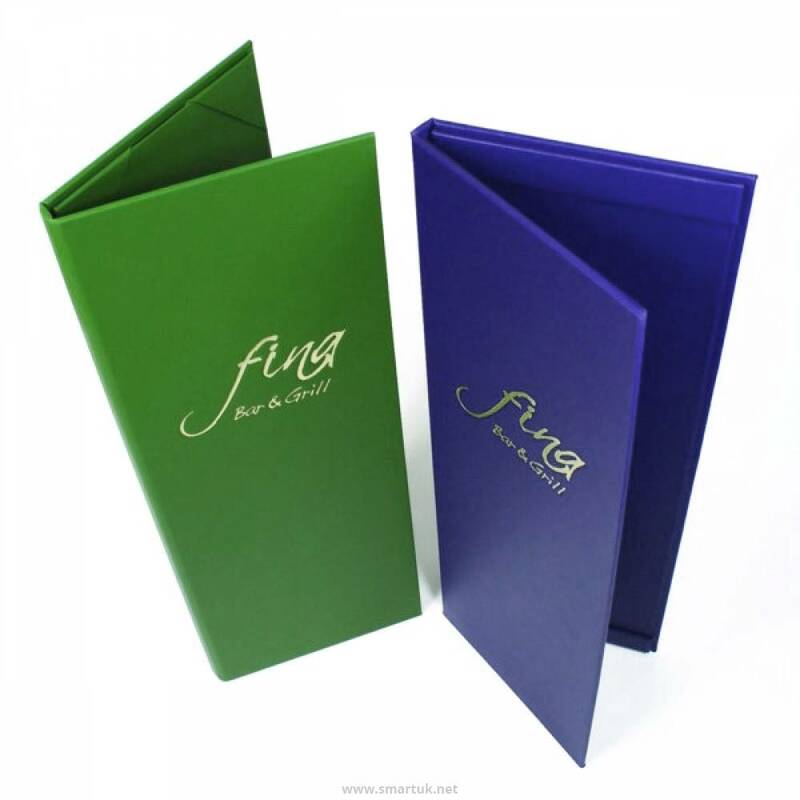 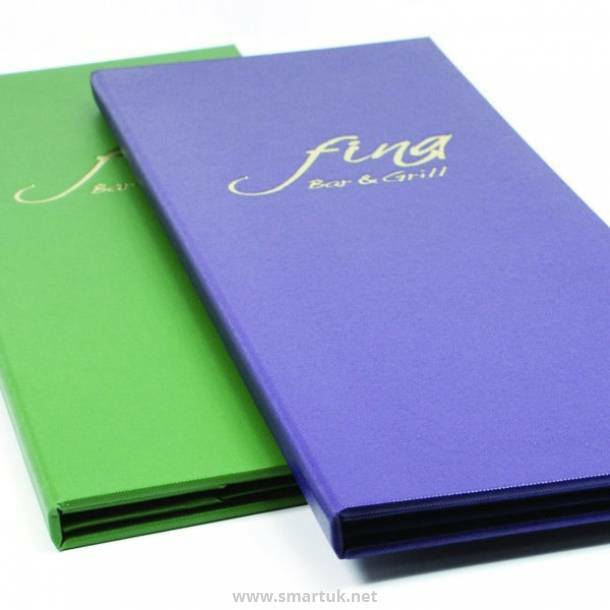 Silver or gold colour rounded corner protectors are available for all four corners of the restaurant menu cover, ensuring it survives the test of time. 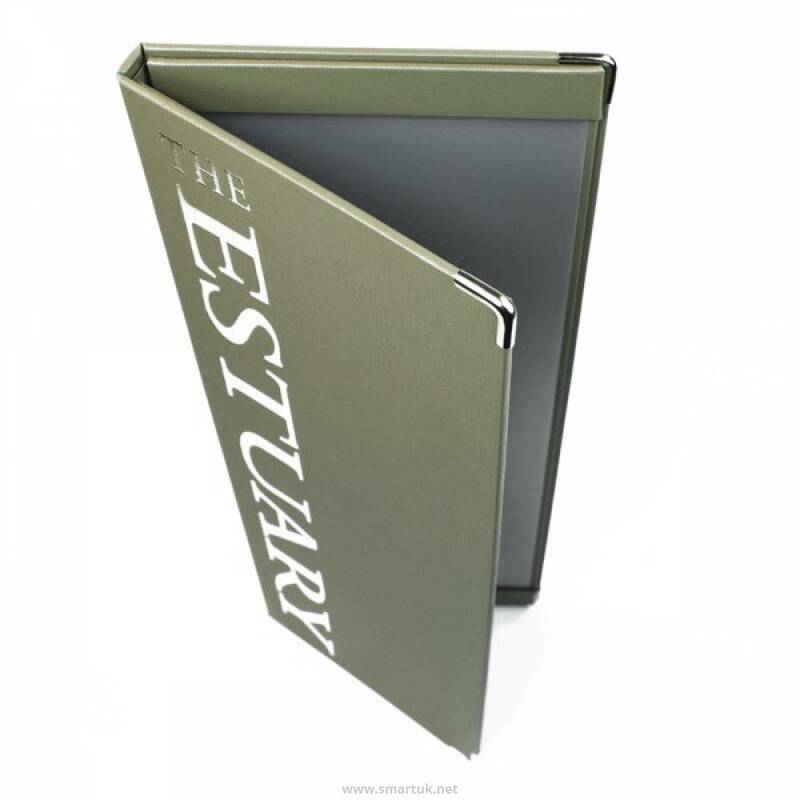 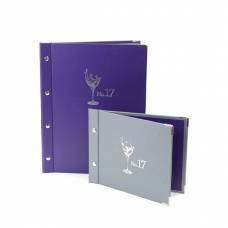 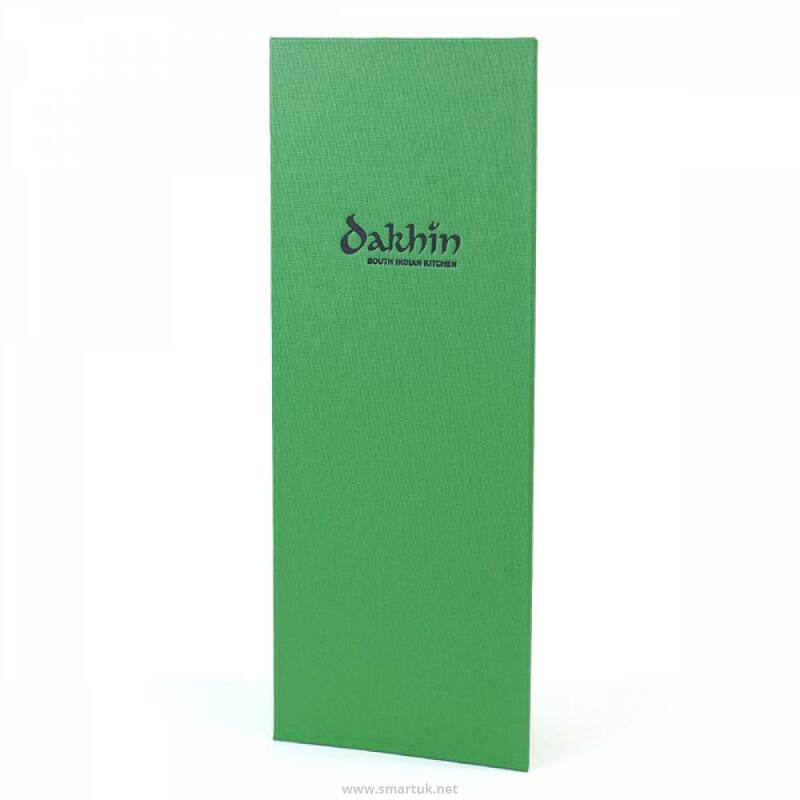 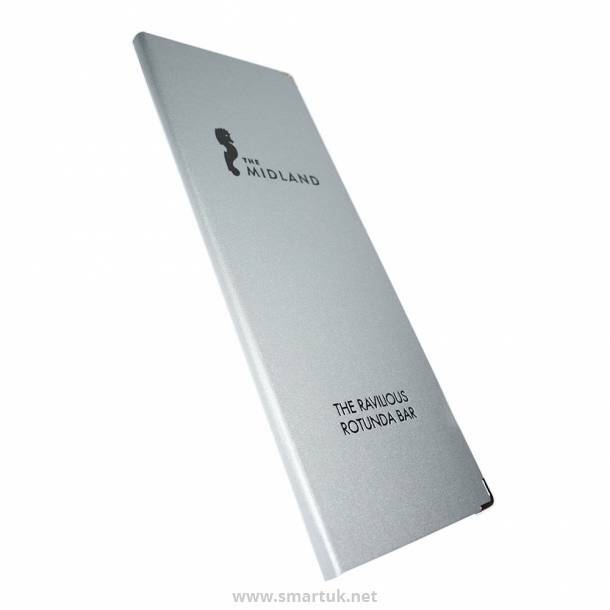 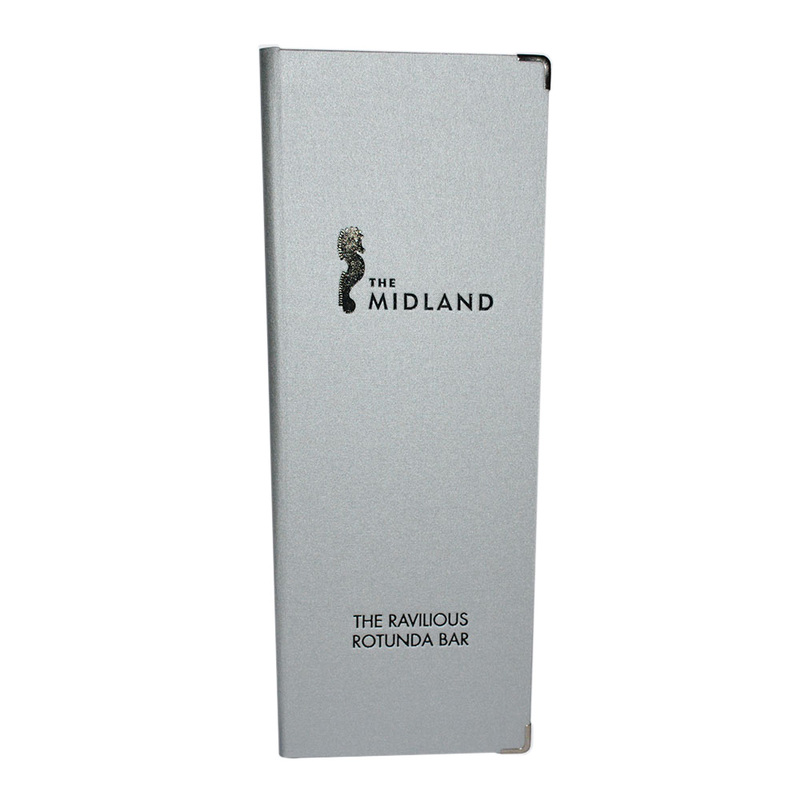 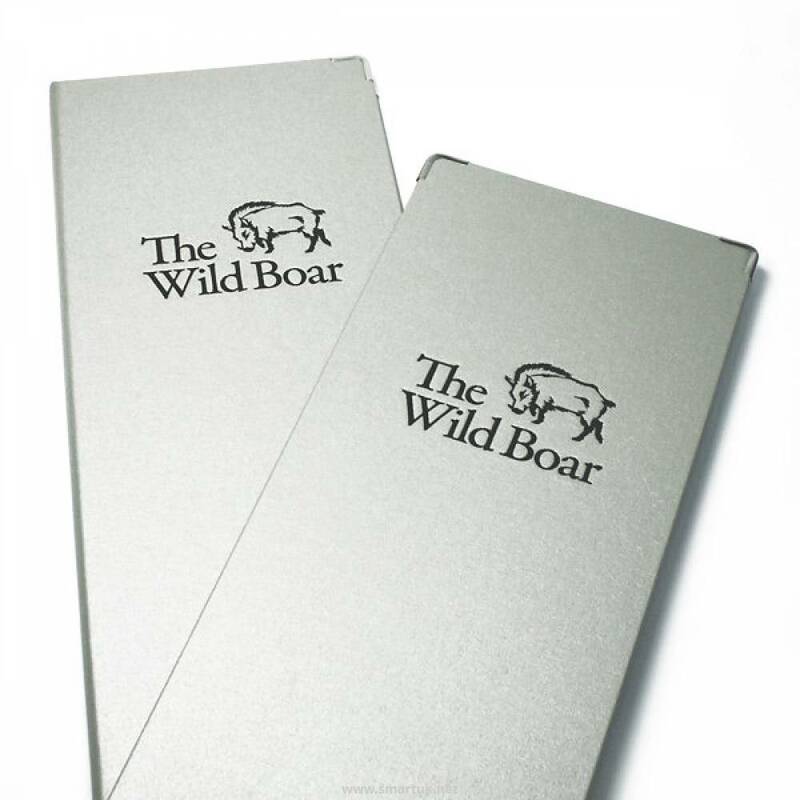 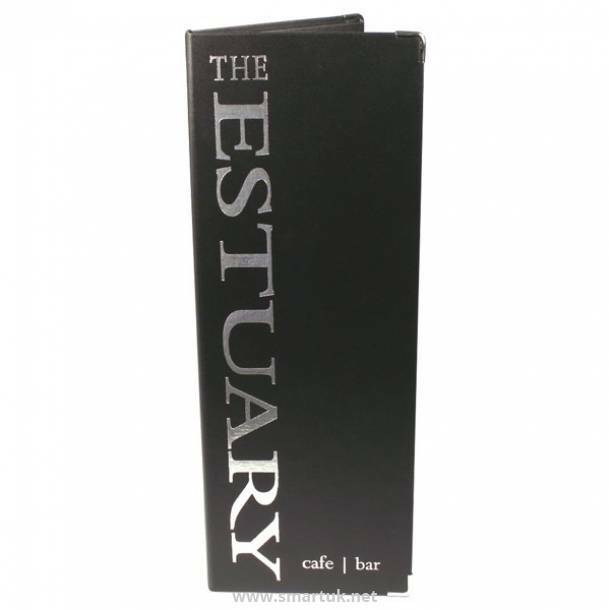 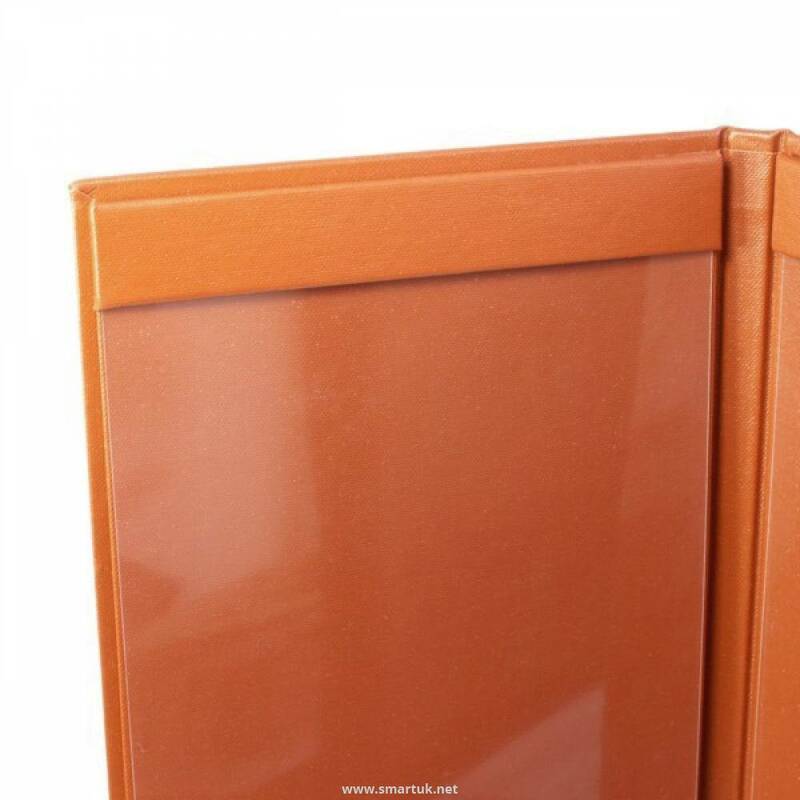 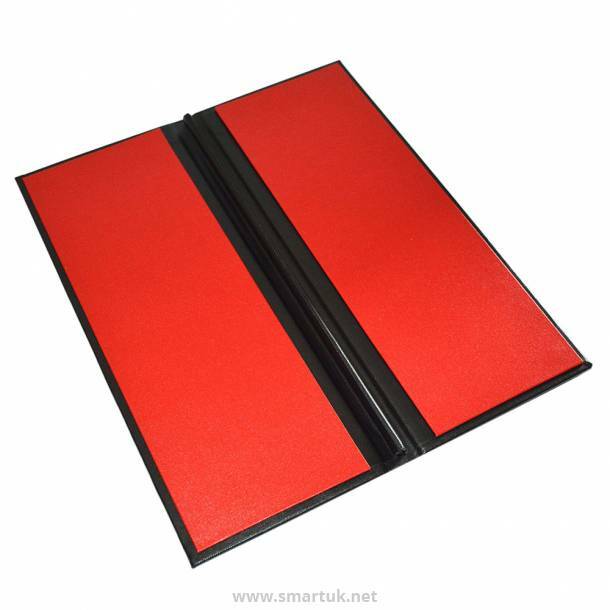 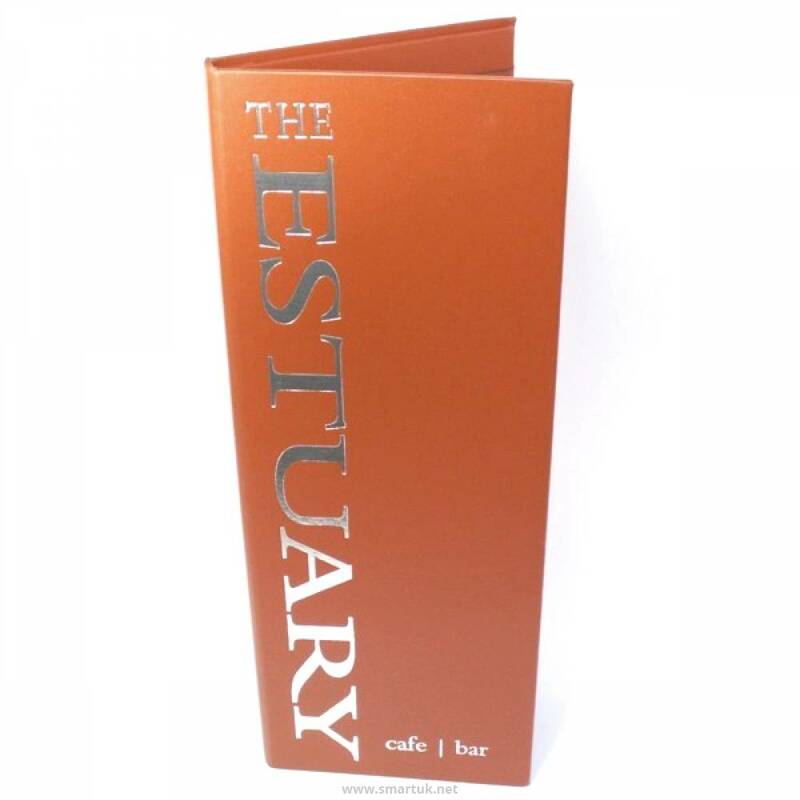 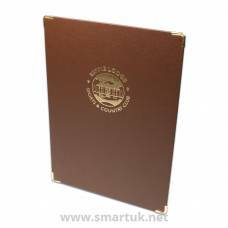 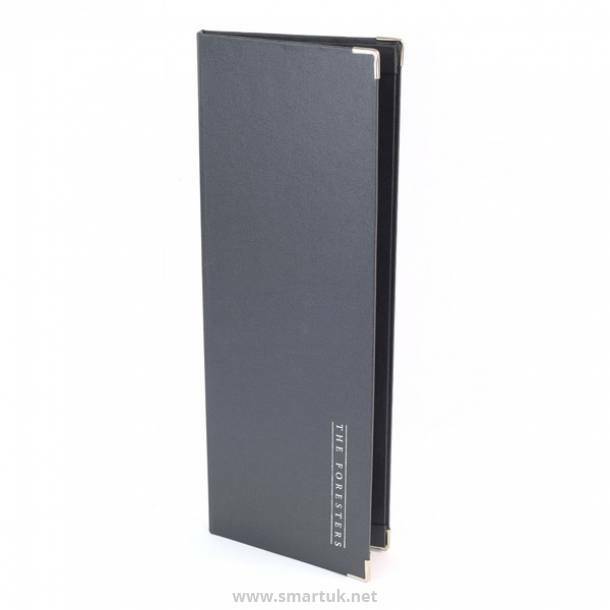 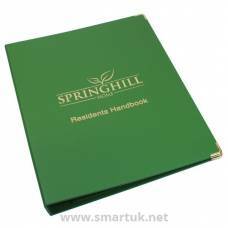 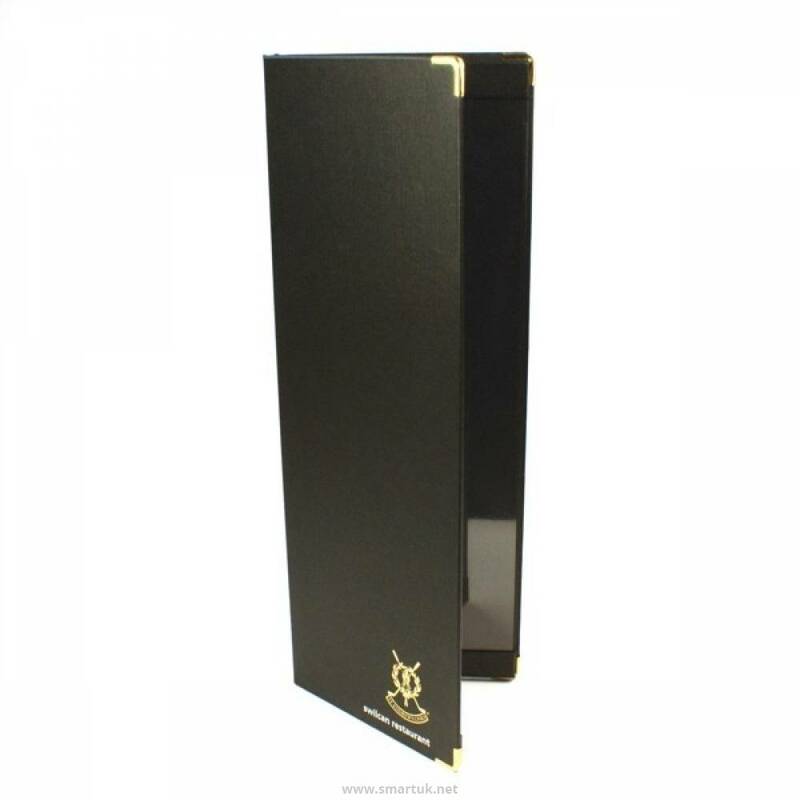 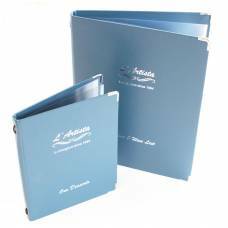 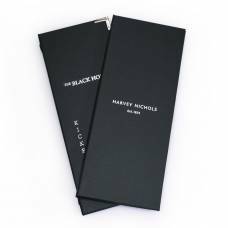 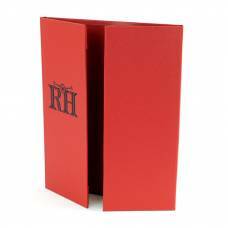 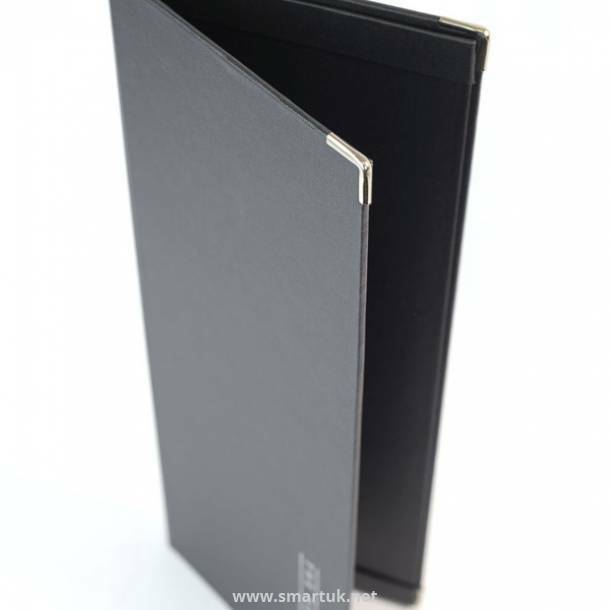 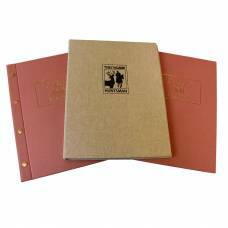 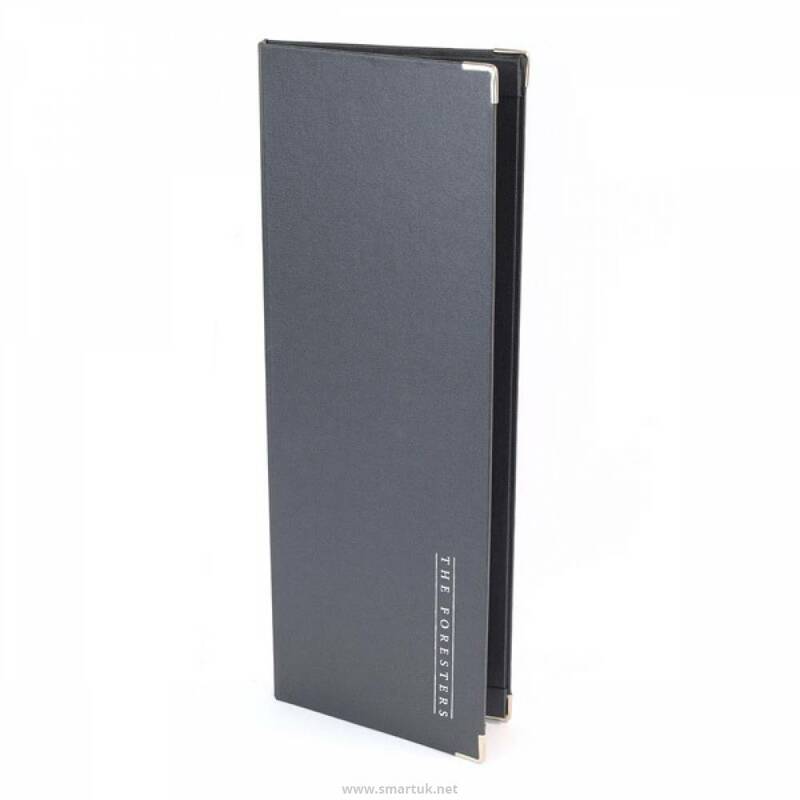 Paris Buckram Menu Covers are designed to match the traditional library shades, our high strength Buckray book cloth (Library Buckram) is made of 100% cotton with acrylic coating, producing an exceptionally high scuff and abrasion resistance buckram. 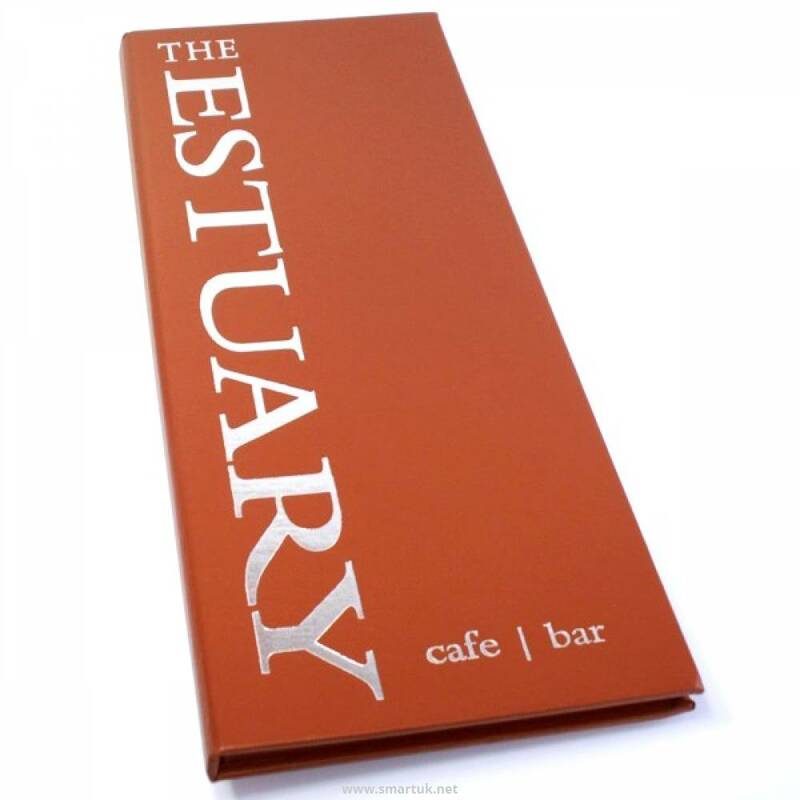 The wipeable surface provides excellent foil blocking properties, ensuring your artwork will look truly stunning.